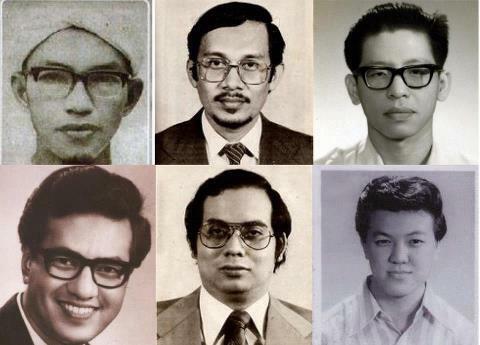 It is reasonable to assume that Malaysians are familiar with these individuals who were aspiring politicians in their younger days. Today they often court controversy; there's never a dull moment when they open their mouths. "I am not young enough to know everything," says the great cynic Oscar Wilde with heavy sarcasm. Did these political figures think they knew everything when these photos were taken? Malaysia has the answers.This photographic montage is courtesy of Curi-Curi Wang Malaysia.